He also posted about I-594 on his blog. I would like to make a minor correction to his text. We didn’t lose any rights with I-594. 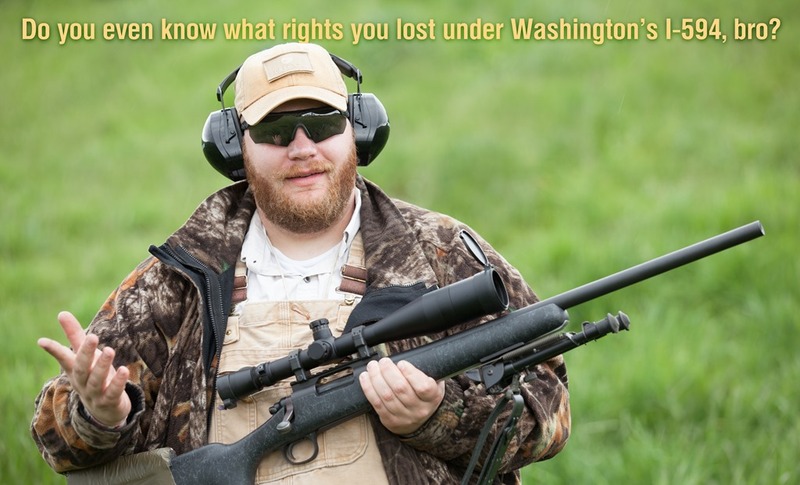 We have specific enumerated rights, supposedly protected by the Second Amendment and the State of Washington Constitution, being infringed by I-594. I want the perpetrators prosecuted. This entry was posted in Gun Rights, I-594 by Joe. Bookmark the permalink. I’m so glad I wasn’t drinking anything when I saw that this morning. You’re correct; like energy, human rights can be neither created nor destroyed. They can be recognized or ignored, respected or violated, but they cannot be destroyed or lost. Gravity too; you can disregard it, often to your peril, but you cannot lose it or destroy it. I’ll prefer to compare the 2A right to gravity then. You can disregard it, but you’ll very likely end up getting hurt if you do. Oh, and it’s universal. It doesn’t change or go away depending on who or where you are.